THE WORLD FARE: Is San Diego really the best pizza city in the country? I’m a great believer in San Diego’s culinary scene. We have the chefs, the purveyors and the demographic mix. There aren’t many places in the country with better restaurants than Addison, and, as the author of a column called “The World Fare,” I’m here to tell you that there’s enough great ethnic food in town to justify my efforts. But TripAdvisor, which touts itself as “the world’s largest travel site,” made some news on Aug. 7 when it announced the top 10 U.S. cities for pizza and, surprisingly, placed San Diego at the top of the list. “Better known for burritos and beaches than marinara and mozzarella,” the press release read, “travelers now have another reason to visit sunny San Diego.” New York was fourth on the list, Chicago snubbed altogether. The New York Daily News commented that “New Yorkers would like to give the people behind these rankings a ‘pizza’ their mind.” A Chicago Sun-Times blog played the “lists are silly” card. The reactions were at once predictable and, frankly, hilariously delicious. But, really, San Diego? Tops for pizza? The three local joints identified in the TripAdvisor piece were Bronx, Filippi’s and Pizzeria Luigi. The first warning bell went off with the Filippi’s name. What came to mind was not pizza excellence but images of a cramped, dimly lit dining room with basketed Chianti bottles hanging from the rafters. Were they the same bottles that had been there on my last visit, back in the ’70s? Filippi’s crust is neither New York thin nor Chicago thick, with a bready quality that seems neither exactly here nor precisely there. Filippi’s pizza seems to be all about what it is not rather than what it is. 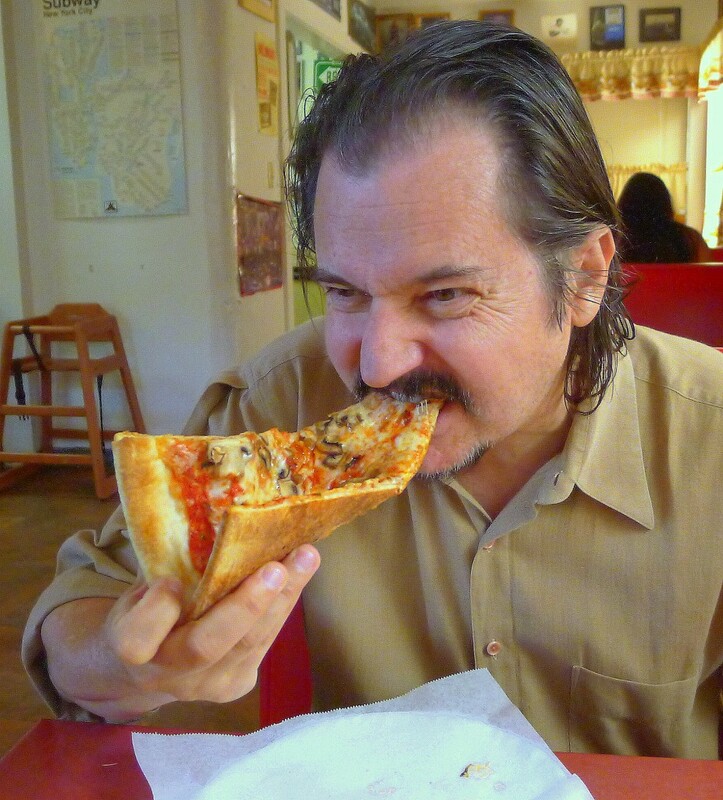 Luigi’s and Bronx, on the other hand, are excellent examples of New York-style pizza. All thin crust, soft and foldable, they’re almost better than Di Fara Pizza. Almost. Not as good, but certainly nearly so. And what about Lefty’s, which TripAdvisor omitted. Lefty’s serves classic Chicago-style pizza: buttery, inches-high crust holding copious quantities of cheese, chunky tomato sauce and other ingredients. Better than Lou Malnati’s? No, but excellent nonetheless. What of Buona Forchetta or Pizzeria Bruno Napoletano? Are they Neopolitan-style pizza at its best? No doubt they sport the thin and crispy crust that characterizes the style that defined pizza, but the best? No, but perhaps on par with anything this side of Naples. Then there’s the new wave of build-it-yourself pizza joints like Project Pie in Hillcrest, offering freedom of topping choice and a pressed crust that’s thin with a bit of Filippi’s breadiness. Where do they fit in? Is this the San Diego style? And that may just be where TripAdvisor got it right. There may be no single San Diego pie that is the country’s best, but there’s a lot of excellent pizza in town: New York-style, Chicago-style, Neopolitan and some that’s not only our own but your own. There truly may be no city in the country where you can get a more excellent example of any kind of pizza you want. Surf, sand, zoo and ’za.